Cuba is trending big time these days – in the news, among travelers, on social media, etc. More and more tourists are flocking to the tiny island before it is “ruined”. (Don’t even get me started on that topic. I’ll save it for it for another blog post!) I encourage anyone and everyone to go to Cuba because it is a beautiful country with warm and extraordinarily resourceful people. HOWEVER… before going there, please, please, pretty please with sugar on top, open up your mind and as the title recommends : expect the unexpected! Here are seven “unexpected” things to expect during your travels in Cuba! I don’t mean the emotional or mental kind! Cuba is a small and pretty much isolated island although it is only about 90 miles away from Florida. Because of the embargo still in effect, access to what we consider common tools and parts needed to fix cars, air conditioners, bathrooms, and so on can be very hard to come by. On top of this, appliances tend to be older models, so there is a strong likelihood that something will break down. So when the air conditioner in your accommodation is leaking water, don’t expect it to be fixed at the snap of a finger. How to deal : Be patient! Kindly speak to a person working at your accommodation about whatever appliance is broken and understand that it may or may not be able to be fixed during your stay. Spanish is the official language of Cuba, so naturally, you’ll hear it everywhere during your stay in Cuba. Furthermore, don’t expect to be able to speak English everywhere you go. If you stay in a casa particular, there will most likely be little to no English to be spoken. If it is spoken, it may be broken and limited in nature. When visiting a store or food/beverage establishment, interaction in English can be rare. Many non-Spanish speaking tourists rely on gestures as a means of communication. How to deal : Learn some key Spanish phrases before going. I suggest the standard “Please” and “Thank you” as well as “I would like…”, “How much is it?”, and brushing up on food and numbers before you go. Most guide books will have useful phrases in them to help you out. While Cuba remains relatively cheap in comparison to other major tourist destinations, it is still more expensive than developing countries that you may have visited. You shouldn’t expect to be making it rain CUCs in the club simply because the cost of goods and services are not as cheap as you might expect. A meal at a restaurant including a drink and tip can come to $10 USD or more per person. Cuban cigars, while cheaper than in other countries, can still be pricey, especially the more well-known brands. How to deal : For our 9 day trip, we recommend that travelers plan on spending around $400 – $600 USD. Additionally, we recommend that you bring a few hundred more in case of an emergency situation. As an American, cell phone and Internet usage are very limited for the time being. Most American cell phones do not get service in Cuba. Even some of those who had purchased international plans and were told that they would work while in Cuba were disappointingly unable to use them. The Internet is also not always a given. In order to use the Internet, you can go to a major tourist hotel and purchase an Internet card. These days, there are newer establishments where you can go to purchase these cards as well. However, you can only use the wifi in designated public squares in various cities throughout Cuba. Unfortunately, even when purchasing these cards, connection can be spotty at best. How to deal : Be mentally prepared not to be able to use the Internet and phone while in Cuba. We always advise travelers not to tell their friends and family that they will be emailing/video chatting/texting/calling during their travels. Also, try not to let your need to be connected affect your trip. We know it can be hard because we are so used to having lots of telecommunication options at your fingertips, but try to enjoy it! It’s not everyday that you have an excuse not to be glued to your phone, tablet, or computer! I have seen threads on forums and blogs on this pretty frequently. Toilets in Cuba, especially public ones, often do not have toilet seats. Ladies : now is as good of time as any to learn the art of hovering! Your accommodations will have a toilet seat and/or lid. Also, toilet paper is not usually freely offered in public restrooms. There is almost always a bathroom attendant to whom you give some small change and in return, you will normally receive a small amount of tissue for your use. Finally, don’t flush the toilet paper down the toilet in public and private bathrooms! If you have traveled to parts of Asia, you probably have had some experience with this. Plumbing in Cuba is kind of weak sauce, so wads of tissue down the toilet does not usually end well for the toilet and pipes. There is usually a small waste basket next to the toilet in which you can dispose of your used tissue. How to deal : Bring your own toilet paper. It’ll come in handy when you feel that the amount of tissue you receive from the restroom attendant is too small. Plus, you can use it to wipe off the toilet bowl rim prior to using it. 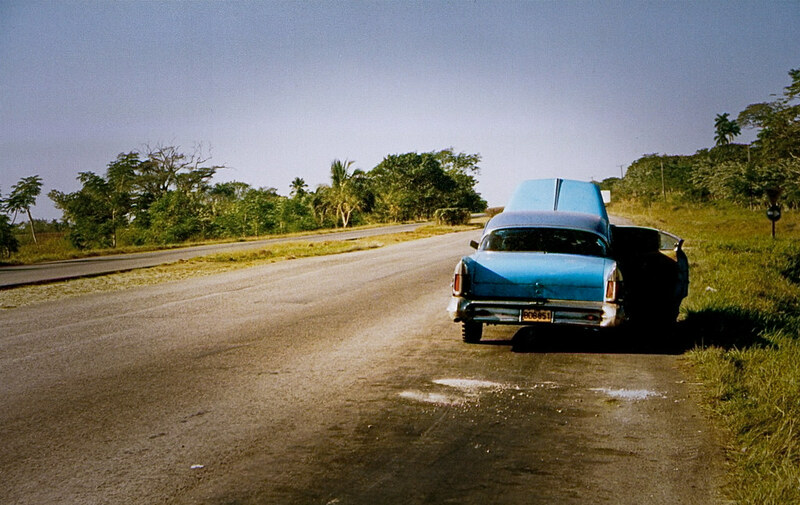 These days, there has been a big influx of travelers to Cuba and that has put a strain on the infrastructure. The housing and plumbing are just not ready to handle all the tourists flooding the island. This will most likely have an affect on your showering habits. Be prepared for lukewarm or possibly even cold showers and low water pressure. In all of our travels to Cuba, we can count the number of times we have had a hot, high-pressured shower on one hand! How to deal : The showers may be cold, but on the plus side, the weather will be hot! Shower fast and perhaps split the shower up into two parts. At night, very quickly wash your body. Then in the morning, wash your hair over the sink or tub if it has a detachable shower head. The water will be cold, but it will break up the showering process and hopefully you won’t feel too chilly after getting clean! Some find Cuban food to be delicious; others not so much. Cuban cuisine tends to be pretty simple in nature. You will almost always have a protein consisting of pork, chicken, beef, or fish that will be generally pan fried or grilled and lightly seasoned. Your meal will also come with some fresh vegetables that are in season. You may be offered some sliced tomatoes or cucumbers with shredded cabbage and a simple dressing of olive oil with salt and pepper. Also, for the starch, there is almost always rice and beans or just rice served. Occasionally you will get some boiled potatoes. A lot of people have told me that they have found the food in Cuba to be quite bland or very monotonous. How to deal : Bring your own hot sauce! No joke! I always have my favorite one constantly on hand at the dinner table whenever I’m dining in Cuba. Cuban meal : Ropa Vieja (spiced shredded beef w/ veggies), plantains, assorted veggies, black beans & rice! All of these things seem pretty basic, but you’d be surprised at how many people gripe and complain about these things. I’m going to keep it real and let you know that the best advice I can give you is to remember that while it is tough to take a cold shower, have a boring meal, hover over a toilet, the Cuban people have had to live with this on a daily basis and they have survived. If they can do it for most of their lives, you can do it for a little over a week! Finally, don’t let this little stuff – because let’s face it, it really is little stuff – affect your trip too much. There are too many awesome things to see and lovely people to meet in Cuba to sweat the little things. So with these things in your open mind, definitely DO go to Cuba and have tons of fun!